Hi all! Sorry it's been a while, I've been busy with work and uni but I'm going to make an effort to post more! Today I thought I'd do a quick review of a product my parents brought back from duty free for me. 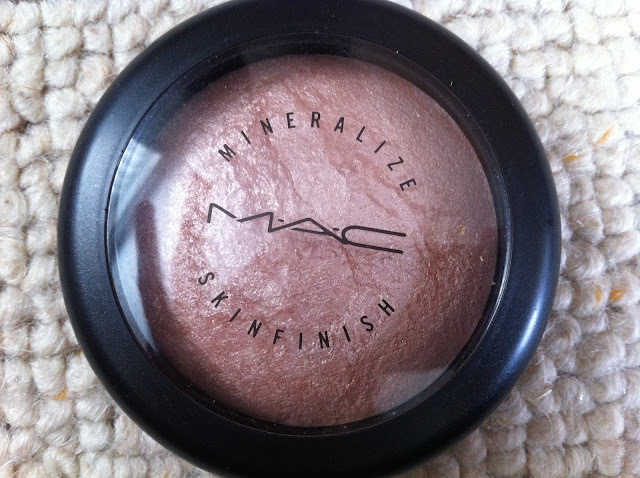 Its the MAC Soft and Gentle MSF and I love it. For those of you, who like me didn't know what MSF's were, I'm going to apologise because I'm still not entirely sure. If I had to describe them in my own words I'd say they're shimmery, marbled face powders. That's the best I've got! Let's get the basics out of the way. 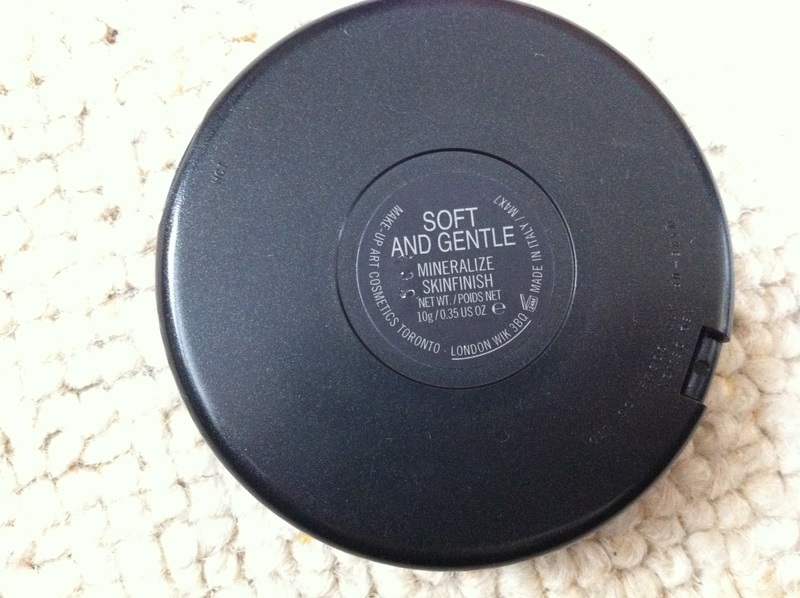 It comes in the standard MAC powder packaging; sturdy and black. It's nice enough and does the job, but nothing special. I think the amazing thing about this is how much product you get for your money. You get 10g for £21.50 and although that may seem a lot, as you need so little it's going to last forever. I've used mine everyday since I got it and I've yet to make a dent in it. I have the shade Soft and Gentle and it's a champagney/ silvery colour with golden veining... It's so pretty in the pan. 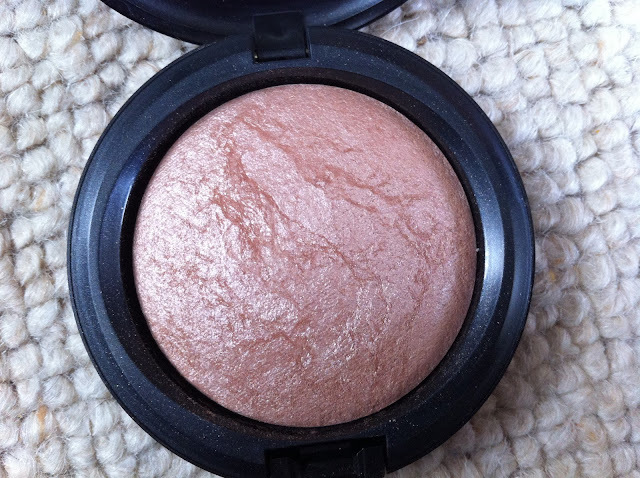 I mainly use it to highlight my cheekbones and the bridge of my nose and it just gives a naturally glowy look. If I had to say one thing though, it would be to err on the side of caution during application. Do not approach this with a heavy hand as you may end up resembling a disco ball. Never a good look. That aside I love it. It's easy to use, looks great and works out rather cheap in the long run. I'd be interested to know if you guys are fans of the MSF's seeing as opinion is so divided on these. Do you love or hate these cult MAC offerings?